There’s not really a Porsche 550 Spyder leading the pack of Silver Arrows at the Mercedes-Benz Museum. But to celebrate the 10th anniversary of the Porsche Museum, its friendly crosstown rival created this photo montage and is offering free admission to Porsche employees from January 31-February 10. 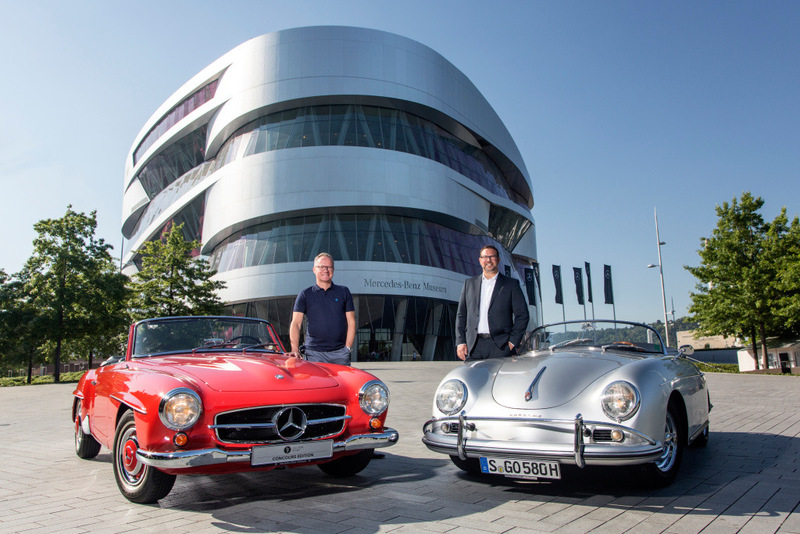 “Good friends are always welcome,” the Mercedes museum said in its invitation to the Porsche employees. Since 2016, the two museums have collaborated with discounted admission rates for those visiting both facilities. But the link between the two brands far pre-dates the new museums: In 1906, Ferdinand Porsche was technical director at Daimler-Motoren-Gesellschaft in Austria and later moved to Untertürkheim as a member of the executive board. Several vehicles he developed, including the 1924 Targa Florio racing car, the 1927 12/55 hp and the 1928 Type SS are on display at the Mercedes-Benz museum. 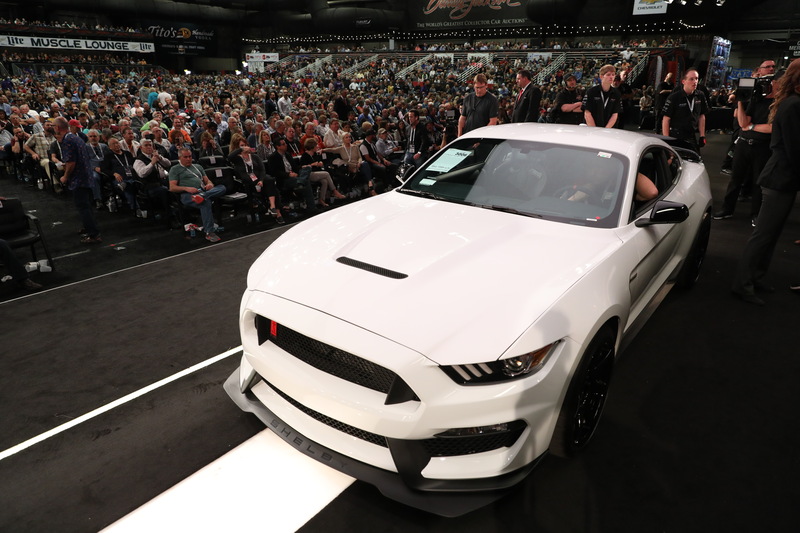 Only 37 examples of the 2015 Ford Shelby Mustang GT350R were produced. One of them was owned by Bruce Meyer, who donated it for sale at the recent Barrett-Jackson collector car auction, where it sold for $500,000, which will go to The Henry Ford (museum) in Dearborn, Michigan, and the Petersen Automotive Museum in Los Angeles. The car was purchased at the auction by well-known collector and museum supporter Ron Pratte. Meyer was founding chairman of the Petersen’s board of directors and several of his racing cars will be featured at the Petersen in its new exhibit, “Winning Numbers: The First, The Fastest, The Famous,” which opens February 23. During the partial federal government shut down, the National Corvette Museum in Bowling Green, Kentucky, will offer free admission to federal employees and up to three members of their immediate family. 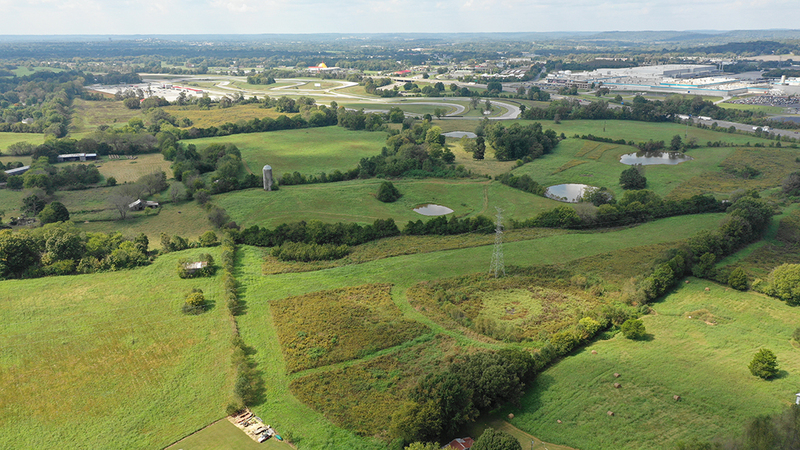 The museum also announced that is has purchased more than 203 acres of property adjacent to its Motorsports Park. The museum held an option on the property since 2010 and closed on the deal January 23, 2019, it said. “While no immediate plans are in the works for the land, the Museum wanted to secure it for future development,” it said in its announcement. The purchase nearly doubles the Motorsports Park property’s footprint. There has been a controversy within the European motorsports community over proposed legislation that would extend the need for accident liability insurance from the road to the race track. That same law would apply to cars in museums. However, the EU’s Internal Market and Consumer Protection committee has proposed a compromise amendment that would exempt small vehicles such as electric bicycles, vehicles used solely on racing circuits, and vehicles not likely to be in traffic, including those undergoing restoration, stored away for seasonal use, or on display in museums. Hemmings Daily has been following these developments closely and reports that the committee’s amendment, which passed by a 34-1 vote, is expected to go to the full European parliament sometime in February. “Tucker: How It All Began” is the subject of a gallery talk on January 26 from 10 until 11:30 a.m at the AACA Museum in Hershey, Pennsylvania, where speakers will include Tucker historian Mark Lieberman and John Tucker Jr., Preston Tucker’s grandson. From January 24-27, the museum also will have a display of cars at the Pennsylvania Auto Show in Harrisburg. Muscle Car City in Punta Gorda, Florida, stages its monthly auto flea market Sunday from 7 a.m. until 1 p.m. The Auburn Cord Duesenberg Museum in northeastern Indiana offers its annual “Duesy of a Day” bridal show Sunday, from noon until 3 p.m. The California Agriculture Museum in Woodland, California, offers free admission February 2 from 10 a.m. to 5 p.m. The museum claims the nation’s most unique collection of tractors and agriculture artifacts. Cancelled by weather in January, the first Sunday Drives program of the year at the California Automobile Museum in Sacramento has been rescheduled for February 3. The museum’s special exhibit, “Hitting The Road: Road Trippin’ Through the Ages,” closes February 25. “From Gas Station to Space Station: How NASA Conquered Low-Earth Orbit” is the title for a special exhibit running through July 30 at the National Corvette Museum in Bowling Green, Kentucky, where the museum and NASA celebrate the 50th anniversary of the moon landing. “The Goodwood Story” will be presented February 2, as part of the speaker series at the Blackhawk Museum in Danville, California, where Harry Sherrard, who was involved in the revival of racing at the Goodwood Estate, will discuss Goodwood’s history, from the founding of the Dukedom of Richmond in 1672 by King Charles II to the estate’s history with the Royal Air Ford and the current Goodwood Revival and Festival of Speed. The Auburn Cord Duesenberg Museum in northeast Indiana hosts The Bootleggers Ball from 6 to 9 p.m. on February 9. During the same dates in February, the British Motor Museum at Beaulieu will offer special children’s programs on jet-powered cars daily from 11 a.m. until 2:30 p.m., with children building third own “jet powered” (O.K., it’s the air emerging from a balloon) cars. LeMay – America’s Car Museum hosts its Bootleggers Blowout party from 8 to 11 p.m. on February 22. The Seal Cove Auto Museum in Maine hots its Brass Club speakeasy gala on March 9 from 7 until 9 p.m. The National Corvette Museum in Bowling Green, Kentucky, has opened registration of its Museum In Motion trip to the 24 hours of Le Mans race in 2019. The dates are June 6-17 and the trip includes four nights in London and three nights in Paris. The National Corvette Museum in Bowling Green, Kentucky, inducts racer Briggs Cunningham, Corvette designer Tom Peters, and enthusiast Dollie Cole, who also was the wife of then-GM president Ed Cole. into its hall of fame on August 30.